The Communities of Excellence announced today they are offering a free Healthy Kids Camp for ages 6 years to 12 years old, from June 6 to July 29 in Pawhuska. The camp is free, and transportation will be provided from Skiatook, Hominy, Wynona and Fairfax to Pawhuska. The camp will begin every day at 7:30 a.m. and last until 5:30 p.m. and will be located at the WELA gym. Children will enjoy STEAM activities (Science, Technology, Engineering, Art and Mathematics) from 10 a.m. to 2 p.m. and outdoor fun. Only the first 20 children from each community will be accepted and parents must provide a daily sack lunch for their children. Selection will be based on Native American with Osage preference. The Healthy Kids Camp comes after weeks of worrying from Osage parents after requests for summer youth facilities from a Wah-Zha-Zhi Parent Coalition last month went unheeded from Osage Nation elected officials. The doors closed to the Pawhuska Wah-Zha-Zhi Youth Academy (WYA) on Friday, the Nation’s remaining after school youth facility. 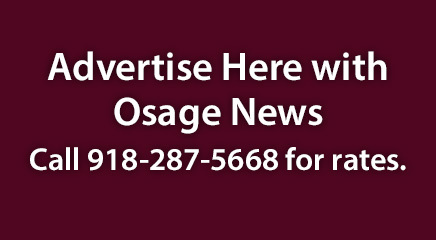 Plans to reopen for the 2016-2017 school year are contingent upon whether or not the Fifth Osage Nation Congress and Principal Chief Geoffrey Standing Bear can come to a compromise. One concerned parent, who wished to remain anonymous, said their children are not eligible for day care because the Nation stopped providing day care to children over the age of 4. The parent said they did not have family to watch their children. The WYA program was their only option and without it they may have to miss work and potentially lose their job. The youth academies are an after school program for Osage youth ages 5-18. Originally three academies, they shrunk to one after the ON Congress voted not to fund the facilities after daily rates caused attendance to drop from 400 students to less than 40. Congress also did not approve of the Executive Branch’s solution to cut costs by closing the Hominy and Fairfax facilities. The Fairfax and Hominy facilities closed in October of last year but the Executive Branch found the money to keep the Pawhuska WYA open. The academies offered summer programs with educational curriculum, physical activities, field trips, tutoring, Osage language classes, cultural programs, as well as Science, Technology, Engineering and Mathematical (STEM) programs. Osage Nation Congressman RJ Walker told concerned parents in April he would consider sponsoring legislation to fix the WYA situation during a May special session of the ON Congress. But no legislation was introduced during the 13th Special Session, which lasted for one day on May 12. Principal Chief Geoffrey Standing Bear, whose administration changed the Boys & Girls Clubs to the Wah-Zha-Zhi Youth Academies, said he is waiting for the outcome of the June 6 election. Questions about the WYA facilities and any potential summer plans for Osage youth were sent to the Education Department and were partly answered by Education Director Mary Wildcat. Director of Operations Casey Johnson and acting Education Services Coordinator Melvina Prather did not respond to requests for information. Wildcat said that Pawhuska WYA employees found employment within the Nation and that the Pawhuska WYA served 40 children at its closure. She said they are also making sure the facilities will be ready to reopen in the fall with the proper maintenance to the buildings and grounds. According to a press release from the Chief’s Office in April, the request for the facilities during the Hun-Kah Session in March was $212,236, and that was to fund five teachers for 40 Osage children at the Pawhuska site; $117,492 for three teachers and 20 Osage children at the Hominy site; and $117,594 to fund three teachers and 20 Osage children at the Fairfax site. Standing Bear said he also planned a WYA for Skiatook, beginning in the fall. The only members of Congress who voted for Standing Bear’s WYA plans were Congressmen John Maker and R.J. Walker. The other members of Congress gave various reasons for not supporting it, such as no communication from the Executive Branch on the plan to run the facilities; legislation was filed too late during the Hun-Kah Session and as a result there wasn’t enough money for the after school facilities. The Wah-Zha-Zhi Parent Coalition, in their April 22 letter to Osage elected officials, said it was Osage elected officials’ Constitutional duty to provide services for Osage youth. For more information on the Healthy Kids Camp, call (918) 287-5267 or visit 220 West Main in Pawhuska for an application. Osage Nation Education Advocates for Pawhuska, Hominy and Fairfax shared various summer programs and events available to youth. - The Pawhuska Public Library will host summer reading programs for youth 10:30 a.m. – 11:30 a.m. on Tuesdays and Thursdays. Tuesday’s reading programs are for students entering 3rd-7th grade. Thursday’s reading programs are for students entering Pre-K – 2nd grade. Students can participate in a 5 p.m. daily drawing at the library for a chance to win a junior burger meal from Sonic or an individual pizza meal from Simple Simons. To participate in the daily drawings students can attend the reading programs or participate in daily library scavenger hunts. Parents are encouraged to accompany children 12 and under. - One-day Boys & Girls Basketball Camps. Deadline to sign up is June 6. The Boys camp is scheduled for June 18. The Girls Camp is scheduled for June 11. Contact Jake Bruno for more information: (918) 287-7798. - A two-day STEM camp is planned. Dates to be decided. - Hominy Public Schools has the Bucks Club. - A two-day STEM camp will be offered on July 21-22 at the Hominy Co-Op. - The Hominy Public Library has a summer reading program and monthly specials. - Woodland Public Schools has a food program. Children under 18 can eat lunch for free at the school. The Osage In-Lon-Schka dances are throughout the month of June and are open to the public. No photos or videos of the actual dance are allowed.